Nahaan is of Łingít, Iñupiaq, and Paiute ancestry. His work reflects his teachings and cultural background. He has been a natural artist all his life. As a tattoo artist of 5 years and running he focuses exclusively on working within the spirit of the traditional tattoos of his ancestors. As a carver, painter and designer he emulates the visual storytelling crafts so dear to his people of South East Alaska. 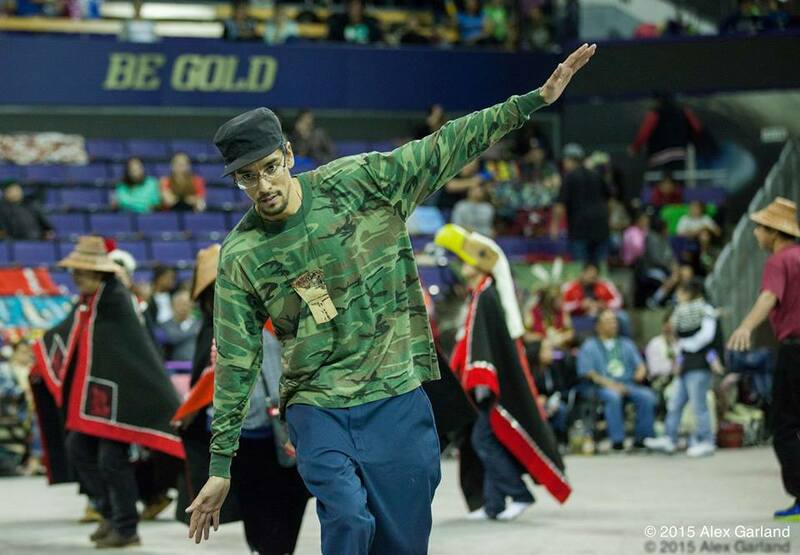 He teaches the Tlingit language and song, and is the spokesperson for Náakw Dancers a group which he started in Seattle, Washington in order to perpetuate the rich expressions of the Pacific North West’s indigenous population. He focuses on aspects of community empowerment and self mastery through elements of decolonization and activism. This entry was posted in Language Preservation, Łingít (Tlingit) and tagged nahaan by lrinspire. Bookmark the permalink.